It seems as though several major crises occurring in the world today could have been avoided or saved with effective communication; whether that consists of sending out tweets, email updates or news releases to the media – crisis communication has taken on a new role in the world of public relations; an essential element. 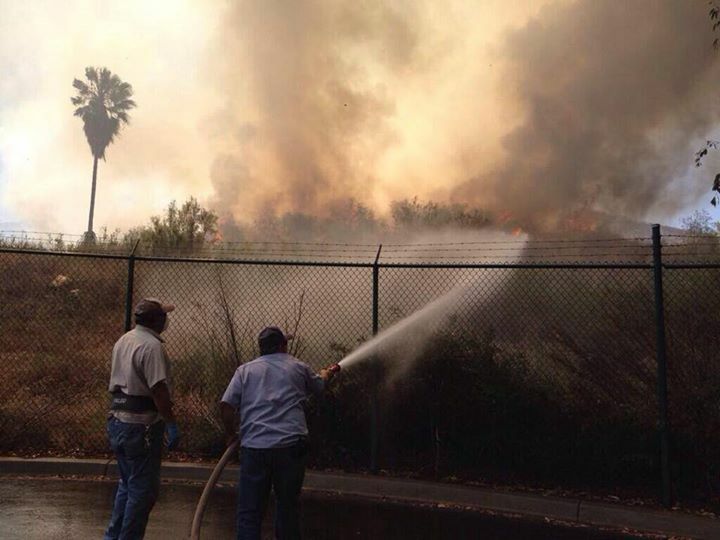 In past news, a wildfire erupted on the California State University San Marcos campus and surrounding regions. While the fire continued to spread outside, inside the CSU facilities, a stand-by team of four communicators handled the chaos and situation with effective communication strategies and tactics. As school evacuations began, tweets were consistently and immediately sent out to inform not only students and parents, but the entire CSU community and general public surrounding the affected areas. All updates from the communications team where embedded in the emergency operations center, police updates, and campus administrators. During the hectic times, the communications team sent out tweets and website updates every three to five minutes, navigating people to more information about the wildfire, the students’ safety and campus emergency news. From May 14 to 19, the communications team at CSU sent out 24 posts and tweeted more than 200 tweets and replies. The conversation continued on Twitter through replies and direct messages to concerned people in the university area. Peoples’ questions were answered quickly and with the relevant information, a core element of crisis communication. When a crisis occurs with a client in a public relations agency, crisis communication plans, written BEFORE a crisis happens are executed. Companies should have these on hand because crises do happen; when people least expect them too. For example, the recent bee spill on the 95 expressway, there was a pre-written communications plan for inspect epidemics. The plan was executed, the specific personnel was contacted, immediately arrived at the scene and performed its necessary measures to keep the car safety managed and all people surrounding the scene. The media was approached, stories were written, and people received their information in a timely manner. Although, the bees never provided a good quote to the media. The main goal of crisis communication is to assess the situation, admit wrongdoing and execute all communication efforts as soon as possible to answer questions or issue apologies – remaining transparent at all times. Follow these tips – crisis averted. True AND False. A crisis can burn like a wildfire but can be extinguished with an effective communications plan.